Over 8 million animals are taken in by shelters every year. Unfortunately, about 3.7 million of those animals are euthanized due to overpopulation. 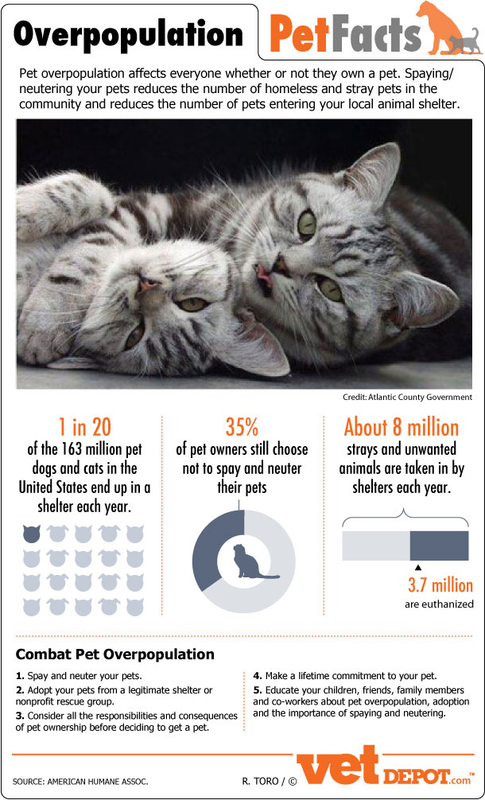 To help combat pet overpopulation, it’s important to spay or neuter pets, choose adoption instead of purchasing a new animal, and to educate others about pet overpopulation. It’s also important to remember that pets are a long-term commitment, so pet owners should be sure they’re ready for the responsibility before adopting.